The allegation that ONLF has redeployed troops from overseas into Ogaden has no element of truth and unsubstantiated. ONLF does not need to train people outside of Ogaden. It has 16 years of fighting experience and ONLF’s all training needs takes place inside the country. The intention of such Ethiopian fabrication is to hide the fact that ONLF forces had set up bases in the Shinile region and eastern Jigjiga and the increasing defeats and casualties of its troops had suffered at the hands of the Liberation Army . Units from Dufan and Gorgor of the ONLA has conducted extensive joint operations against Ethiopian army around Aysha’ and Dambal areas of Shinile region. As a result of these operations Ethiopian garrison at Biyo Gurgur has been seriously degraded by the ONLA units. This garrison and others along the border areas are for the purpose of looting the local people and tightening the 3 year old economic blockade of Ogaden. In the fighting that occurred on 13th and 14th of September at Arabi and Shebelle more than 150 Ethiopian soldiers had been killed. There are also dozens of fighting between the ONLA and Ethiopian troops throughout Ogaden. The later fighting involved Ethiopian Army reinforcements from Diri-dhabe, Harar and Jigjiga based Brigades. During this week ONLA has escalated its combat against Ethiopian army which sustained heavy loses. 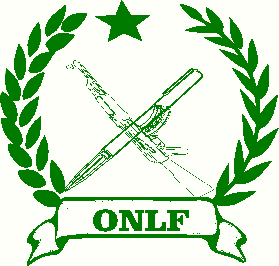 ONLA invites international journalists to visit the Ogaden and challenges the Ethiopian government and its apologists to allow independent journalists unfettered access to the Ogaden if its claim of annihilating ONLF forces has any substance. Details of the ensuing fighting will be released very soon.